It’s never too early to start planning for life after coding bootcamp. You’ll be so focused on coding practice and classwork that graduation will come before you know it. 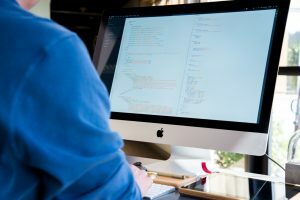 For those of you that have already reached this point and are looking for your next step, or those simply planning ahead; here are a few things to expect once you reach the end of your coding bootcamp road. Don’t expect the job search process to be a cake walk. The reality is that the job search process, regardless of what industry you’re seeking to enter, is never easy. While modern technology has made great strides from the door-to-door, pen and paper method, it still requires a great deal of effort on your part to successfully lock-down a great position. When applying for jobs, you really want to make a clear determination of tasks and roles you’re either willing or not willing to perform. If you’re looking for a position that only requires A and B, you shouldn’t be applying to positions that also require C and D. This doesn’t mean that you should only apply to positions that fit your “desired” characteristics, but if you absolutely dread something like backend web development, you shouldn’t be applying to jobs where the job description lists this as a major component of the position. There are plenty of career fields that value coding. More fields than ever are beginning to value coding. There is an increasing need for programming and web development roles within several work spaces. Typically, programming categories can be broken down into five main categories: IT, data analytics, artists and designers, engineers, and scientists. Within these job categories, there are several opportunities within a workplace for you to put your skills to use. When you’re considering any of these categories, do some in-depth research on the activities that spark your interest. At first glance something might not necessarily sound appealing, but you never truly know until you dig a little deeper. An important part of the job search process for many people is the potential compensation an employer is willing to provide. Many folks might be too intimidated or completely unaware that salary negotiation is part of the hiring process. It’s especially necessary if you are seeking to assert your value once you receive a job offer. If an employer feels strongly enough about bringing you on board and offers you a position, there’s a pretty good chance they’d be willing to negotiate with you on compensation like salary and benefits. Planning for life after bootcamp isn’t easy, but it also doesn’t have to be scary. If you prepare yourself for the process, you can start the next chapter of your career with confidence.